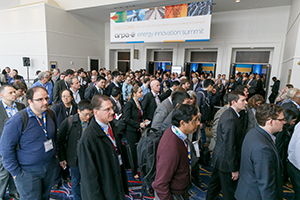 Accredited journalists who work for a recognized news outlet and cover the energy industry on a regular basis are welcome to apply for a complimentary press pass to the 2019 ARPA-E Energy Innovation Summit (the 2019 Summit). Those reporting on the conference who are not credentialed media and who do NOT meet the requirements for a complimentary press pass may register at the paid press discount rate. Press-paid includes writers and analysts for consulting and data services, writers for publications owned by industry trade associations, and freelance writers without sufficient evidence of published work for news outlets. All credentials will be reviewed and are subject to approval based on press space allocation and management's discretion.